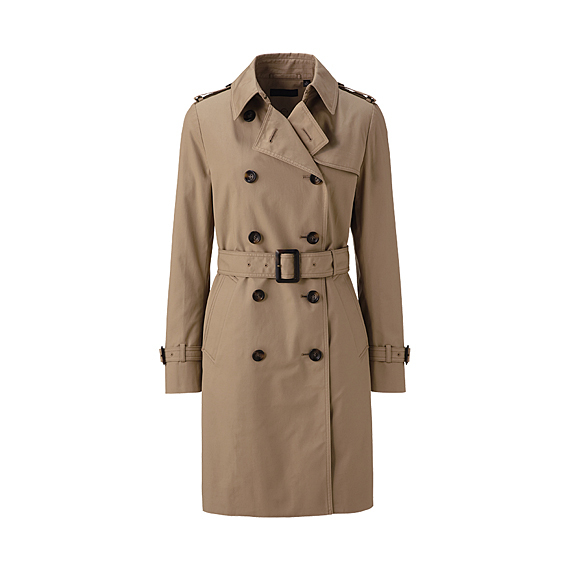 During World War I, a Burberry rain coat (designed specially by Thomas Burberry for life in the trenches), which became know as a Trench Coat, was given as standard uniform issue to every British Army officer. And we still wear it now, it coming back year after year as a perennial of the catwalk, withstanding the trials and tribulations of fashion's comings and goings. I've long been the proud owner of a vintage Debenhams trench coat in grey with brown leather buttons, but have been hankering after a cream one for a while. I've been pondering one from Mango (now in the sale for £44.90) and also this one from Uniqlo which has an extra bit of Uniqlo magic in the form of their Body Warm Lite Liner, to keep you extra toasty, which is handy when it's a flipping cold as it is now. It also comes in black or navy. 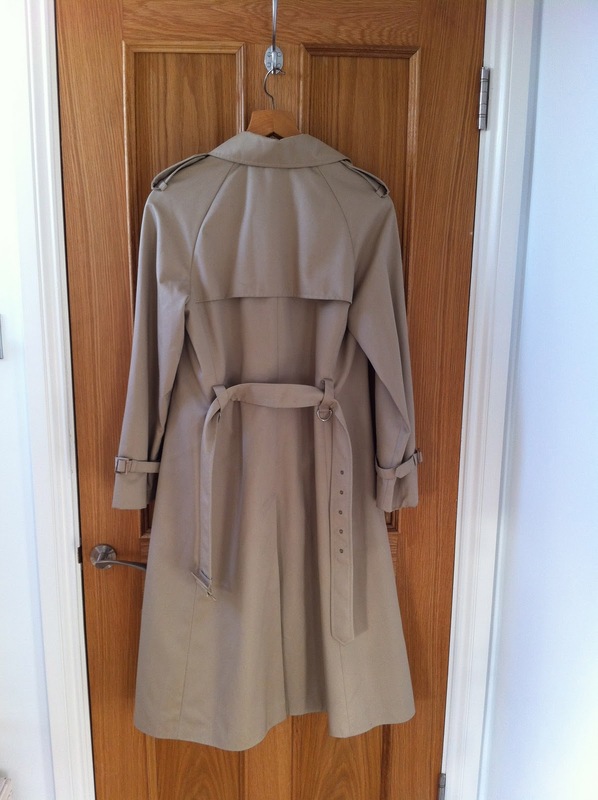 I got this for the princely sum of £8, and it's in great condition, made by Danimac. 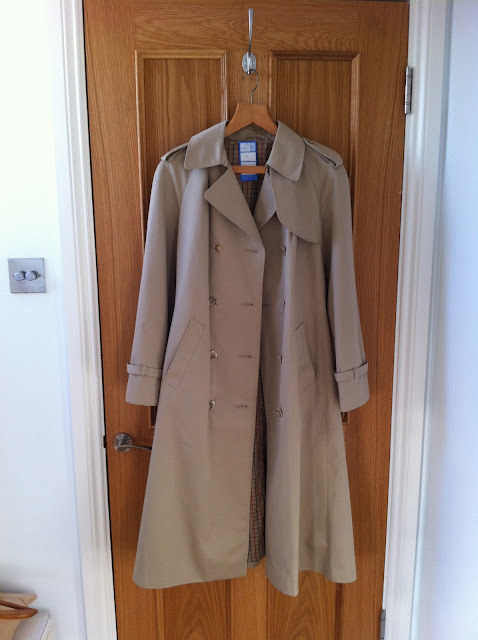 I remember they used to sell Danimac in John Lewis when I was little, when I would accompany my mum to the Ladies' Department, on her mission to find the perfect coat, not too smart, not too casual, always with a hood. A mission which is still ongoing.